How many new cars are on our streets and highways at any one time? The answer is: virtually zero. Almost 100 percent are used cars considering that even the newest among them lost several thousand dollars in value as soon as they were driven off the dealership’s lot. Oh sure, we talk a good game (and countless words are written) about new cars. But even if you don’t take the description “new” literally and count any vehicle up to a year old as new, the vast majority of cars, trucks, crossovers, SUVs, etc., still are used. Even annual vehicle purchases are overwhelmingly used vehicles, new-car ads and TV commercials notwithstanding. The 15.6 million new vehicles sold in 2013, represent just over a quarter (27 percent) of the total of new and used vehicles, with used-vehicle sales estimated at just under 42 million last year (73 percent). Those estimates were provided by Kelley Blue Book and CNW Research, respectively. And the total of 15.6 million new cars is just a small part of the nearly 250 million registered vehicles nationally, representing only about 6.25 percent of the total vehicles you encounter. So what ever happened to the idea of keeping up with the Joneses? 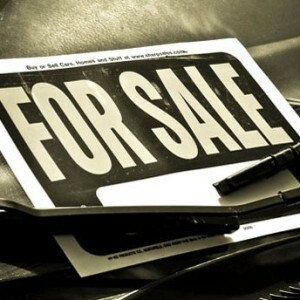 Undoubtedly, the prices of used cars versus new contribute to the tilt toward used-car purchases. New cars sell for about double used cars on average, $32,890 to $15,617 at the end of 2013. Literally, that’s two cars for the price of one for someone who is doing the simple math. Some of this shouldn’t be too surprising considering that the average car on American roads is 11.4 years old, while the average light truck is about 11.3 years old, according to Polk Automotive research. The numbers are expected to drive new car sales to about 16 million this year as consumers loosen their purse strings with the end of The Great Recession and better economic news. Still, the new-car myth is busted, the balloon popped, as we clearly are a used-car nation.